Enrichment is what unlocks the real value of data. The cleaning and harmonising of data ensures a quality customer experience, even with multiple data sources. The user-centric categorisation of transactions further improves the customer experience and unlocks business benefits – such as truly data-driven sales or optimised risk-decision making. Rule-based categorisation is often incomplete or inaccurate, leading to irregular patterns and unreliable results for the end user. Tink’s machine-learning models are designed to work with data that comes from multiple sources, and are tuned to both global and individual preferences. We “clean” the data – removing duplications and undesired details, resolving discrepancies and filling in the gaps – and continuously and safely test, compare and combine smarter models to ensure the best user experience. Cleaned, harmonised and enriched data opens up new possibilities to improve the customer experience. Major Nordic bank SEB developed its own PFM for private customers based on the Tink platform. Data enrichment and our simple API allowed them to integrate all PFM functionalities, such as spending categorisation, as well as push notifications for real-time advice and warnings – right inside their regular mobile banking app. 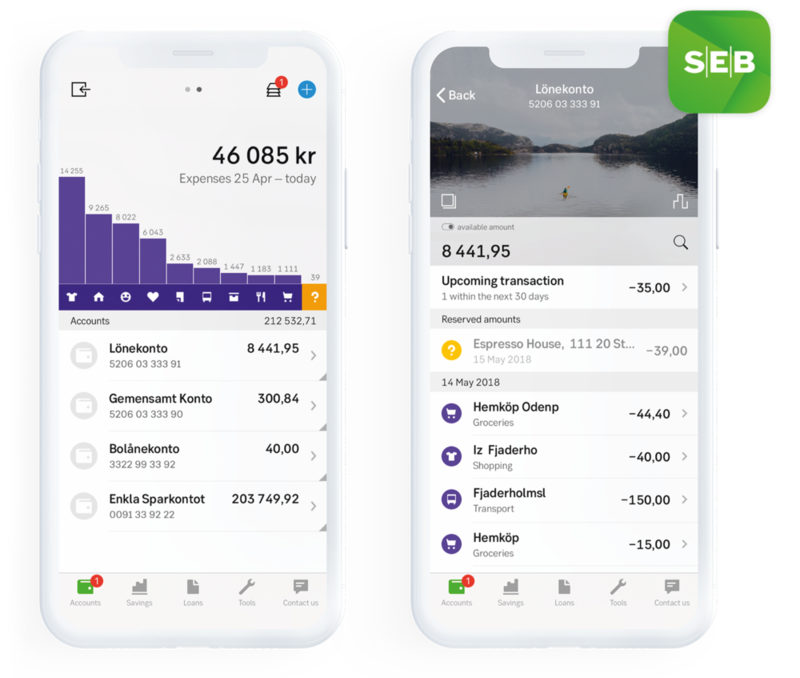 SEB's app is now the most popular channel for private customers in Sweden, with more than 50 million visits every quarter. Need more advice on options for your business? Get in touch and we’ll help you find out how Tink can create a solution tailored just for you.